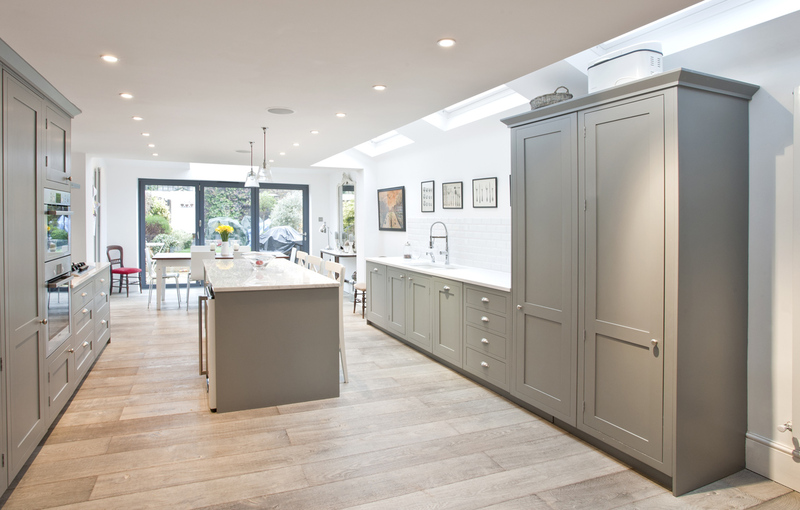 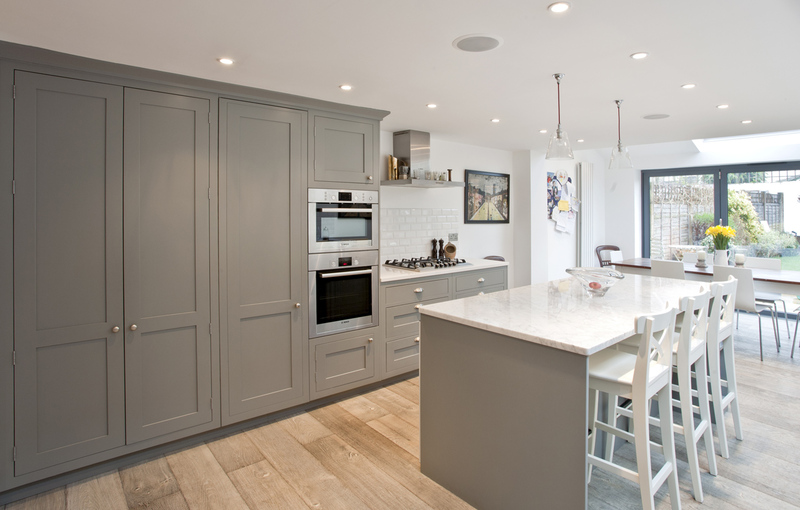 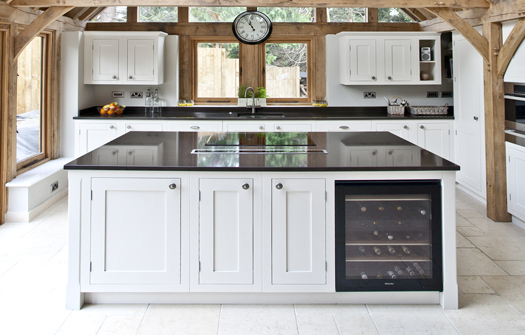 Contemporary shades of grey mixed with traditional in-frame furniture give this classic kitchen a timeless look. 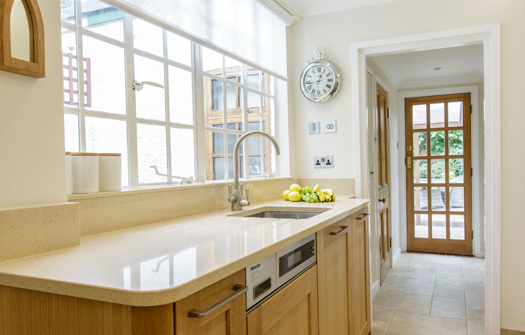 Taking the best of both worlds of traditional and contemporary kitchen design, we integrated elements of classic shaker with modern styles. 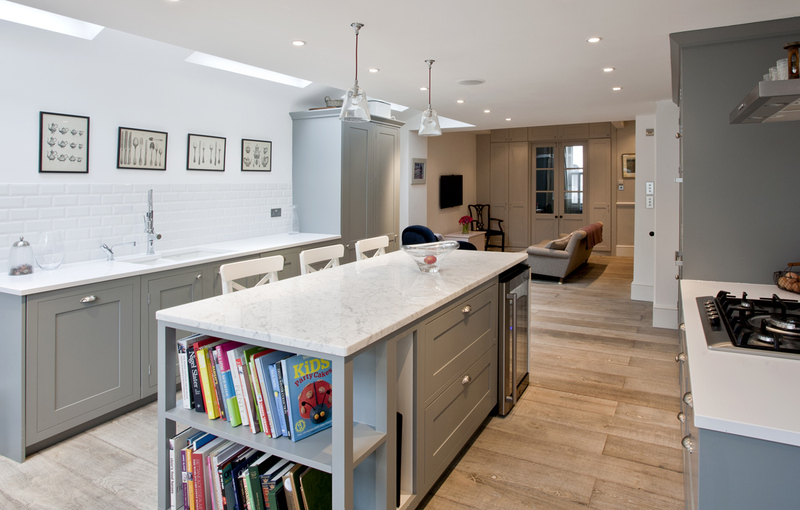 Rather than having a bank of wall units, full height cupboards were included to house modern appliances and help retain the feeling of light and openness in the space. 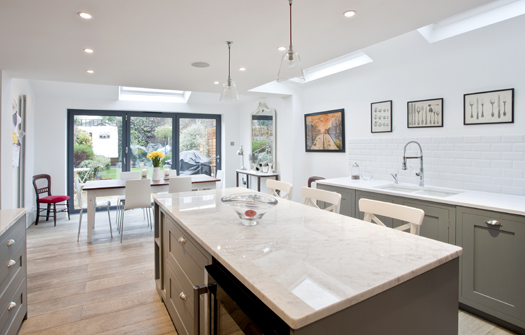 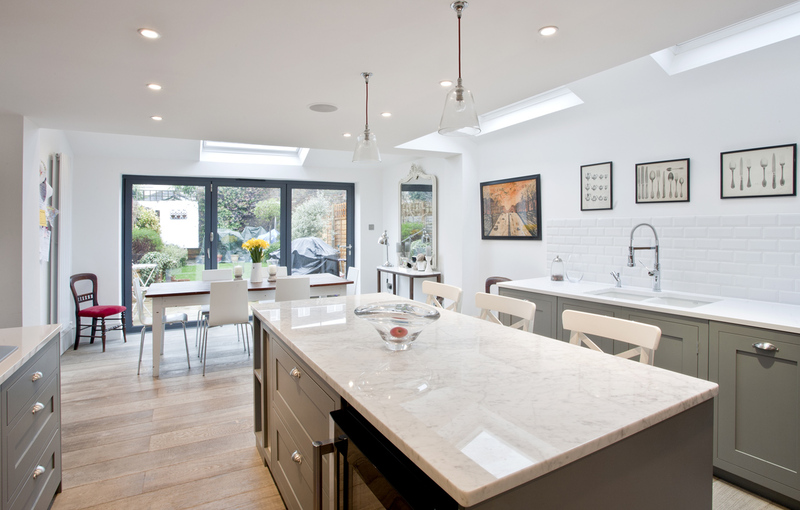 Neutral worktops were offset with metro white wall tiles, allowing artwork to be displayed throughout the living space. 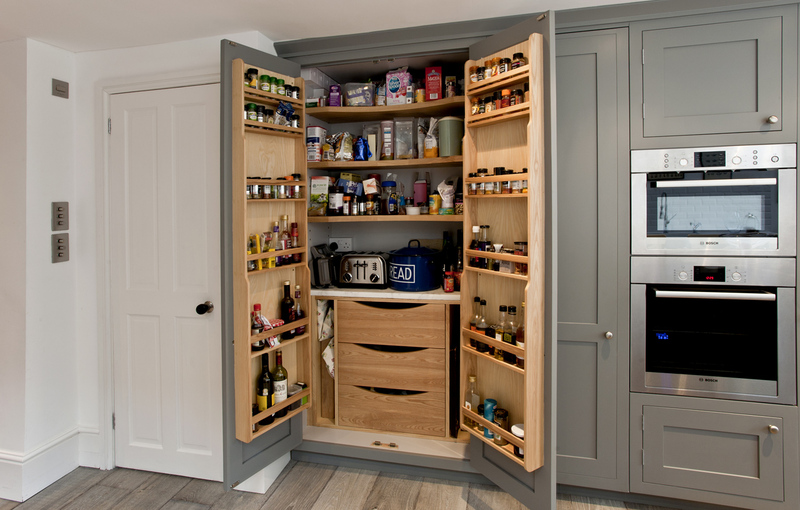 A much-desired pantry larder gives plenty of storage for food and kitchen gadgets, freeing up the workspace throughout the kitchen and adding to the combination of classic and modern design.